Jaime & Phil's fall wedding at The Oaks at Salem in Apex was absolute perfection. 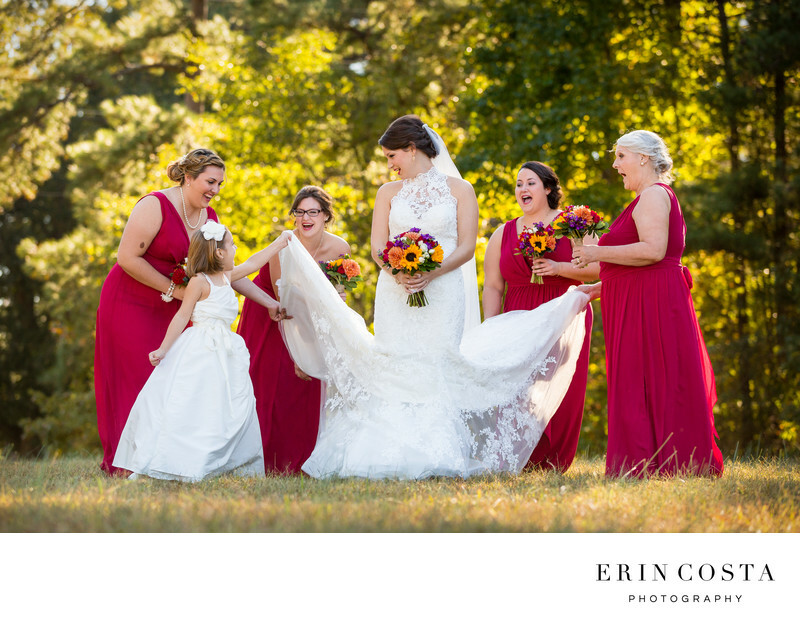 She chose deep red bridesmaid dresses and colorful bridal bouquets to match. Tre Bella designed the beautiful flowers, and Jaime got her wedding gown at New York Bridal in Raleigh. I love this photo from her wedding! We had her bridesmaids and flower girl help straighten her dress before formals and the flower girl really got into it. The result was laughter by everyone around.